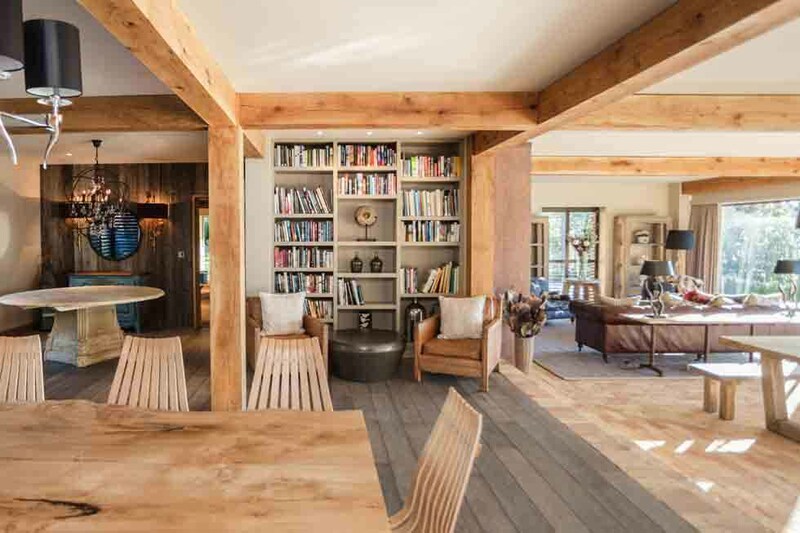 This stunning architect designed property is set in an enviable position directly on Lake Windermere, with uninterrupted lake views from its floor to ceiling windows. 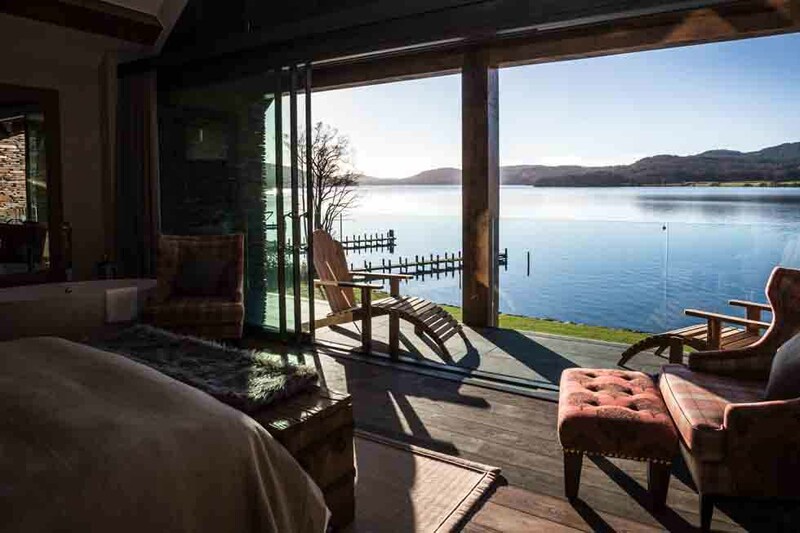 The Slate House’s boathouse and jetty give direct water access onto the lake, ideal for boating or fishing enthusiasts, or those looking for some serious R&R on the serene waters of Lake Windermere. The setting is wonderfully idyllic, yet the pretty town of Bowness is just a few minutes by car offering a selection of lovely country pubs and shops. The five lavish bedrooms all offer en-suite bathrooms, with superb entertainment facilities including a games room and home cinema. 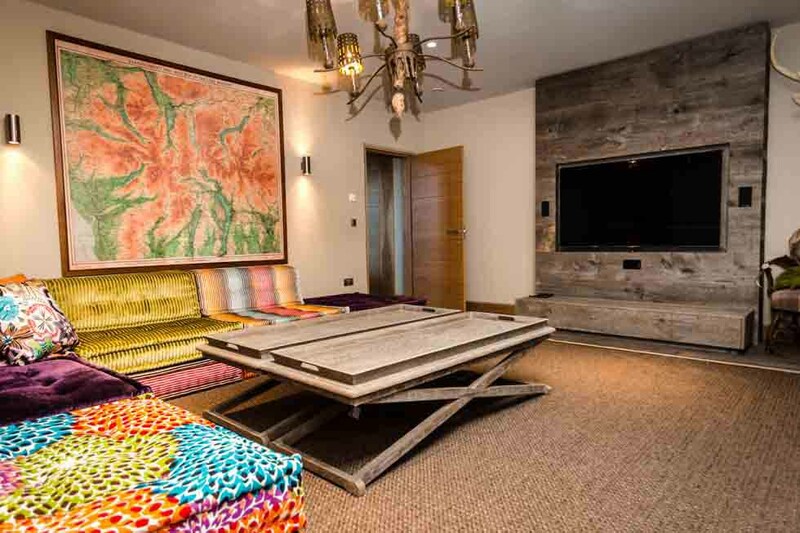 The Slate House offers the ambiance and elegance of a designer ski chalet, with Lakeland stone, oak pillars and log fires a plenty creating a feeling of understated luxury throughout. This property is a true haven in this wonderful region, ideal for fun on the lake, beautiful country walks or simply relaxing in the fresh country air. 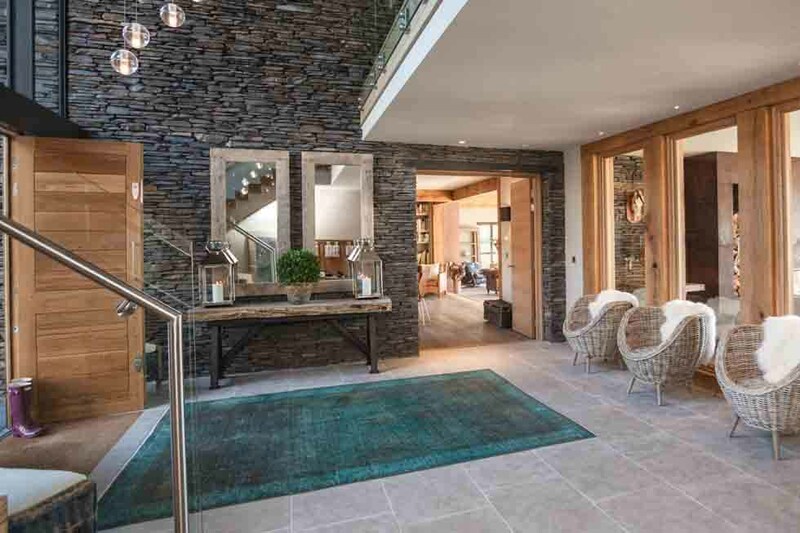 The Slate House is one of the Lake District’s most beautiful properties, recently completed to a exceptionally high standard and simply oozing style and charm. 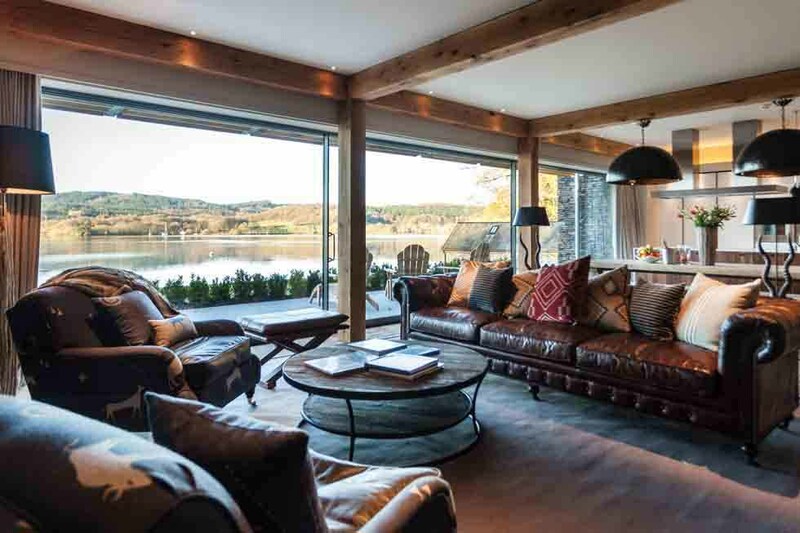 Every aspect of this stunning home has been designed to maximise natural light and the breath-taking views, with floor to ceiling windows affording magnificent uninterrupted views over Lake Windermere. 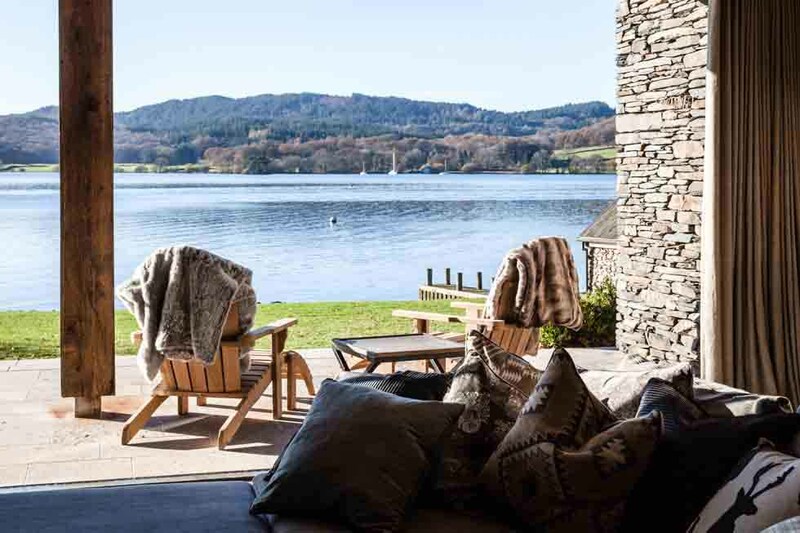 The Slate House is a chic lakeside retreat, offering some of the most luxurious accommodation of any property in the Lake District and an enviable location on the shores of Lake Windermere. Enjoy stunning living spaces with breath taking views and floor to ceiling sliding doors, and a stylish designer kitchen. Relax in the cinema room, dine in spectacular surroundings and enjoy walks from your doorstep around the beautiful Lake District. 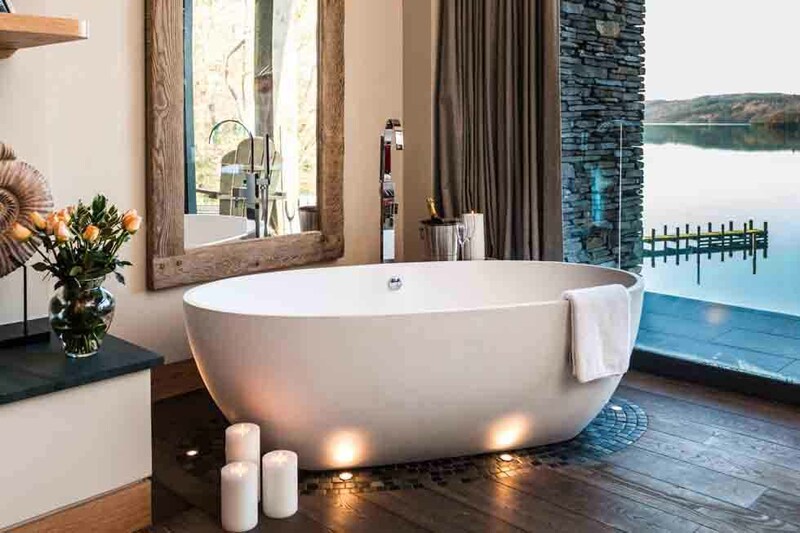 The 5 ultra-luxe bedrooms are truly stunning, with luxurious décor and fabulous en-suite bathrooms. View the beautiful photographs of this luxury lake-front retreat here, including luxurious bedrooms, stunning reception rooms and beautiful grounds, with those all-important views…. 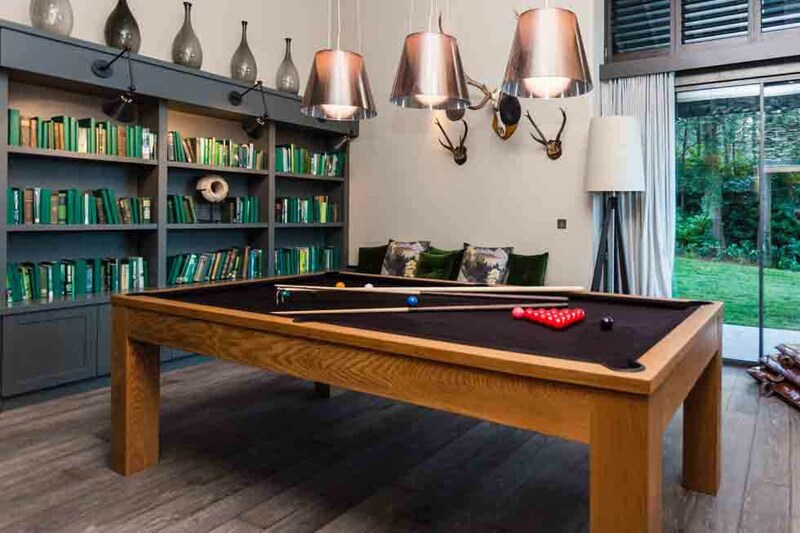 The Slate House is set directly on eastern shore of Lake Windermere, just a couple of minutes’ drive from the picturesque town of Bowness where a range of shops, pubs and restaurants can be found. The property enjoys uninterrupted lake views with direct lake access from the private jetty. Thank you for all your help in arranging such a fabulous weekend in a fabulous property. We have stayed in some of the best hotels and villas in the world and I can safely say The Slate House is among the best of them. Thanks again. If you are a lover of the finer things in life, look no further than The Slate House. This property is simply exquisite, a vision on the lake front of wood, glass, slate and stone, it certainly provides wow factor. Nothing can prepare you for those views – uninterrupted and expansive, from almost every room. Yet the property itself is to die for, unadulterated luxury from top to toe, with no expense spared in creating the ultimate lakeside retreat. The Slate House is without doubt one of the most beautiful rental properties in the UK, but be warned, you may never want to leave!